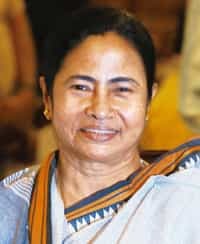 New Delhi: Railway minister Mamata Banerjee unveiled her grand vision for Indian Railways even as she took a swipe at predecessor Lalu Prasad, much feted for having turned around the state-run monopoly and racked up a Rs90,000 crore cash surplus to boot. While suggesting that the claimed surplus may have owed more to accounting sleight of hand than anything else, Banerjee presented Vision 2020—a 10-year, Rs14 trillion programme targeting an annual growth rate of 10%. “Indian Railways was No. 2 in the world at one point. Now, it has slipped to fourth position. We want it to become No. 1," PTI cited Banerjee as saying. “We want to reach out to interior areas and increase our line capacity, but there are no funds." The railways should look at critical problems rather than focusing on grandiose projects, an analyst said. “The way government finances are, to say the government should give budgetary support year after year is not the right approach at all," said Amrit Pandurangi, who heads the transport and infrastructure practice for consulting firm Pricewaterhouse Coopers. “Freight rates today are very high. So you should start reducing them over a period of time if you want the economy and the transport sector to remain competitive, which actually means there will be less surplus." Pandurangi said the vision should be to get the priorities right, rather than spend money adding new track. “I would be interested in knowing if, anywhere in the vision, does it say she (Banerjee) will make it a more competitive railways." Setting inclusive development, large-scale employment generation, environment sustainability and strengthening national integration as the broad strategic goals of Vision 2020, the minister also proposed a multi-disciplinary committee to work out the details of short-term and long-term action plans. “In doing this analysis, we have found areas of concern that we want to address in the coming years," said Samar Jha, additional member (budget), Indian Railways. “A committee of experts would be formed, who will plan out how to implement this vision." The document spoke of the need for targeted subsidies in the passenger business—the railways lost about Rs14,000 crore carrying people in 2008-09—while addressing supply shortages. Prasad’s record was examined in a white paper that dwelt on possible changes to the way in which the railways presents its accounts. As Mint reported on 6 July, doubts arose over the claim of a turnaround and the cash surplus under the previous minister, following a decline of the railways’ accumulated fund balances from Rs22,279 crore in 2007-08 to Rs8,361 crore in 2009-10. The white paper said the concept of cash surplus before dividend “requires review as dividend is a committed liability of the railways" towards the Central government. The document said at least four accounting changes led to money that would ordinarily not be shown as part of the cash surplus to be marked as such, leading to the inflated number of Rs88,669 crore. If it weren’t for these, the cash surplus would have been Rs71,663 crore and the investible surplus Rs52,520 crore, the document showed. The white paper further cites a consultant hired by the railways to look at its accounting methodology as saying that if the railways had followed commercial accounting principles, cash surplus before dividend would have stood at Rs39,411 crore. Railway officials and analysts stressed that the revised numbers only reflected changes in the surplus claimed by Prasad, and not on the actual performance of the railways. Accounting changes “contributed significantly in inflating the figures of cash surplus before dividend, a new way of portraying surpluses generated, introduced in 2007-08," according to the white paper. “The figures remain the same," the railways’ Jha said. “It’s the manner of presentation." Jha added that the railways would look at the recommendations made in the report. “We would definitely move towards much tighter accounting," he said. Railway officials said the administration under Prasad should have also accounted for liabilities arising out of the pay commission’s recommendations, which were effective from 2006. The document showed that, by several indicators, the railways’ best period may have been 1991-96 under minister C.K. Jaffer Sharief and not Prasad. Average operating profit margins in 1991-96 were 15.47% versus 13.66% in 2004-09. The railways returned an average of 8.63% in 1991-96, compared with 6.26% in 2004-09.